EARLY BRONZE AGE, CIRCA 2500-2000 B.C. The Art of Ancient Cyprus, pp. 193-194, pl. 222 (item one) and p. 23, pl. 14a (item two). 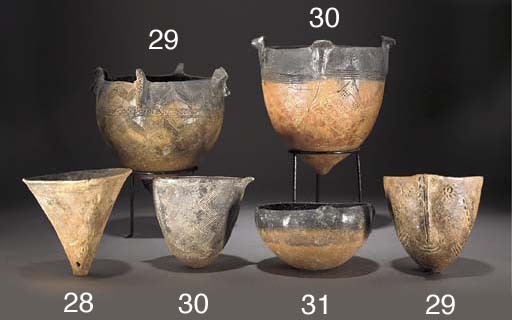 These so-called 'tulip' bowls (item one) are distinctly mammiform, incised with the necklaces of the Mother Goddess around the rim, possibly suggesting that they were used for milk offerings.